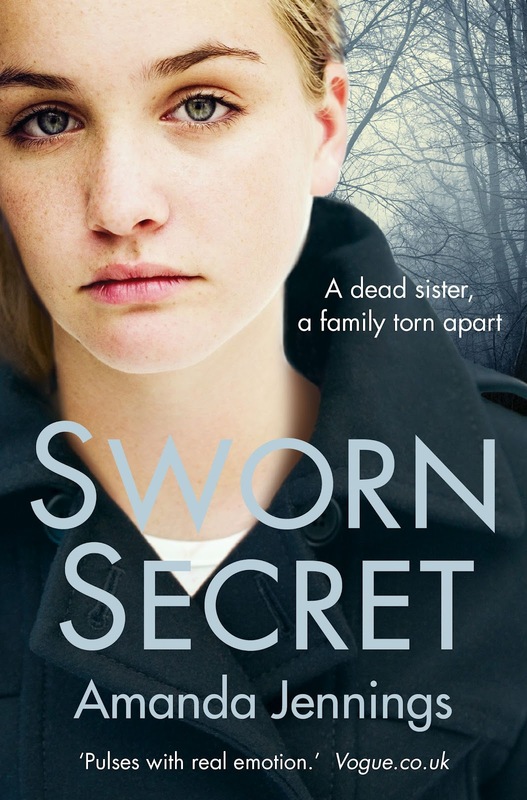 Sworn Secret tells the story of a family torn apart when 16 year old Anna tragically dies after falling from the school roof. A year on and her family begin to discover what really happened the night she died and begin to question whether her death was an accident at all. I thought Sworn Secret was brilliant and you can see my review here. Amanda Jennings has kindly agreed to answer a few questions. As a child I was always writing stories and sticking the pages together to make books, but I never thought about being a writer whilst at school. Towards the end of my last year at university though, I began to write short stories for myself and fell in love – hook, line and sinker – with writing fiction. I had plenty of ideas, but in those early days never seemed to get past the first chapter. My father referred to me as ‘the world’s most prolific writer of first chapters’ in his wedding speech! Can you tell us a little bit about your journey to publication? My story isn’t unusual, there weren’t any headline-grabbing six figure sums or desperate editors fighting for me at auction, but there were a number of long, sometimes lonely, years bringing up my babies and writing whenever they fell asleep or got the Lego out. There was a first book, and quickly a second, and then the famous trawl through the Writers’ Yearbook in search of suitable (read ‘any’) agents to send my first three chapters to. The rejection letters began to fall like confetti on the mat, but amidst them two agents asked to see the whole manuscript. Six weeks later their rejections came within days of each other. That was quite tough but there was a chink of hope. One of them said if I happened to do any work on the book she’d be happy to look at it again. So I did what any loving, committed mother slash desperate author would do, I ignored the children for six months and rewrote it. I then plucked up the courage to recontact her and explained I’d fed my three girls nothing but bananas – quick, nutritious, and filling – for half a year, and said I was pleased with the result (of the rewrite as opposed to the neglected off-spring). Two weeks later an email appeared to say the banana diet had been worth it. It was Champagne time! We signed a contract shortly after. Three years and a third book later I signed a deal with Constable and Robinson. What was your inspiration for Sworn Secret? I wanted to write a story about sisters. I have a sister and three daughters, so the concept of sisters is close to my heart. As I thought about my sister I wondered how I’d cope if she died. As I jotted down some ideas I found myself thinking about my own girls, and became caught up in imagining how I would feel if something terrible happened to one of them. I found myself crying as I wrote and knew then it was a story I wanted to explore. Lizzie, without doubt! In fact, she’s my favourite character I’ve ever written. I loved becoming a teenager again, reliving that first kiss, that first rush of love, allowing her to grow up. I enjoyed the way she began to stand up to her parents having been a quiet, biddable child. An arguing teenager is great fun to write! If you were stranded on a desert island and had only one book, what would you like it to be? This is so hard! I could read my favourite childhood book The Dark is Rising by Susan Cooper again and again, and likewise Barbara Kingsolver’s The Poisonwood Bible, which was given to me by a friend who was shocked I hadn’t read it, and is everything I love about fiction, evocative, thought provoking and heartbreaking. But maybe this is the perfect opportunity to finally tackle War and Peace? Then again, I’m on a desert island with nothing to eat but small stripy fish for months on end, so I’m actually going to take Nigel Slater’s The Kitchen Diaries. I love reading recipe books and his writing, the way he imbues it with his passion for food, is stunning. He’ll help me imagine my burnt Angel Fish on a Stick is actually Grilled Monkfish with Rosemary served with a pile of buttery garlic mash. My next book tells the story of a married couple whose relationship is put under strain when a man from the husband’s past reappears, bringing with him the memories of a horrific childhood incident. The attraction this man has for the wife adds further complications and turns it into a dangerous love triangle. It’s a story of loyalty, covetousness, and a look at what constitutes an outwardly ‘perfect life’. Thank you for taking the time to answer my questions, Amanda. Sworn Secret is out now. Thank you so much for sharing this with us, so lovely to hear Amanda's thought process behind the book and why she became a writer in the first place.. lovely. Hi, Anita-Clare. I enjoyed finding out too. Sounds like a fantastic read - great concept. I always love hearing how writers became writers! Me too. I love all the 'backstage' writing stuff. It's a fantastic book. I hope you enjoy it as much as I did. Sounds like there are some heavy emotions in Amanda's work - that's what I like. I love her practical approach to being stuck on an island too! It was very practical, wasn't it? I'm not that clever. I'd have taken some chick lit and starved! As Mama J again ... You're very welcome, Amanda and apologies for my awkward blog. I shall now send it to its room to think about its actions.